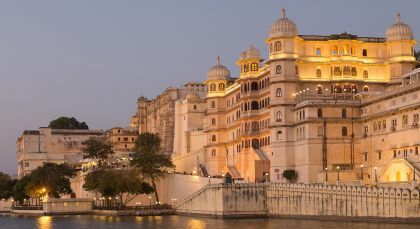 Get a taste for the culture of Rajasthan with this great introductory tour of India. From India’s current capital city to the homes of former Maharajahs, this trip harmoniously blends old and new worlds. Explore Agra..the former capital of Hindustan, located on the banks of the river Yamuna. Agra is best known the world over as a UNESCO World Heritage Site for its 3 grandiose monuments – Taj Mahal, Agra Fort and Fatehpur Sikri. 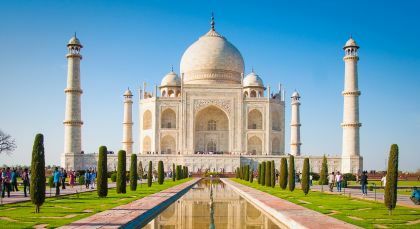 Visit the sublime white marbled mausoleum of theTaj Mahal..at sunrise and sunset; see the Tomb of Itmad-ud-Daulah; admire the magnificent Agra Fort and the Akbar Mausoleum in Sikandra. Enjoy a decorated tonga ride (a horse drawn carriage, popular in olden days) through the fabled city. Visit the timeless UNESCO world heritage site on a day trip to Fatehpur Sikri (City of Victory). 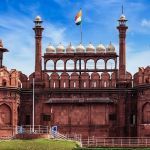 This complex of monuments and temples was built in the 16th century by Emperor Akbar during the Mughal era, also considered the richest period of Indian history. Admire the uniform architectural style and visit the elegant and sacred Jama Masjid or the Friday Mosque. Marvel at the Buland Darwaza, the main entrance to this ancient city and spend some time exploring the Tomb of Shaikh Salim Chisti, Birbal Bhawan (dedicated to Akbar’s greatest court advisor – Birbal), the inner courts where Jodha Bai stayed and the inner harem reserved for Hindu wives. 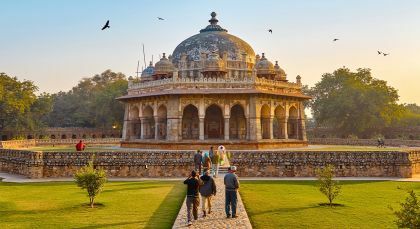 Explore the Amber Fort, the Albert Hall, City Palace, the Palace of Winds (Hawa Mahal) and the world’s largest stone observatory – the Jantar Mantar. See the Govind Devji Temple dedicated to Lord Krishna, the Lakshmi Narayan and Ganesh Temples; visit the amazing Jaigarh and Nahargarh Forts and Raj Mandir Cinema. Barli is a typical Indian picturesque village, situated off Rajasthan’s beaten path, with a small population of just over 1,000 residents. 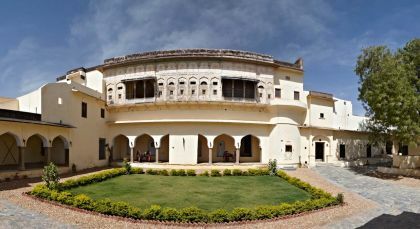 (Only if staying at Fort Barli) Imagine being transported in time to that era of Maharaja’s and Maharani’s. Here you can regale in an experience of a bygone era…get dressed up in traditional royal outfits, adorned with jewelry and be a Maharaja or Maharani…even if for a day! 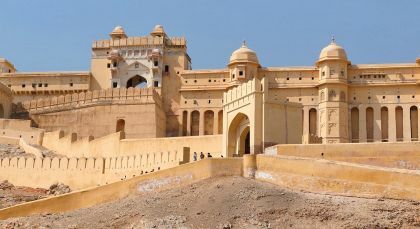 Be escorted around the Fort and introduced to Rajput Art and Architecture, as depicted in the old monument. Visit the Mardana (male) and Zanana (female) sections; the Armory, Treasury, Assembly Halls, Revenue Stores and all utilitarian areas of a bygone era. In Udaipur, embark on a tour of this lovely city which will include the City Palace, Jagdish Temple and a boat ride on scenic Lake Pichola. Take a trip to Haldighati in the Aravalli hills (40km); visit the Eklingji Shiva temple near Devigarh; explore the impressive temple ruins at Nagda (22 km). Accommodation (on a twin-sharing basis) on the indicated meal plan for 9 nights. Book with Enchanting Travels! We thoroughly enjoyed our experience with this company and will be telling all my friends and family.